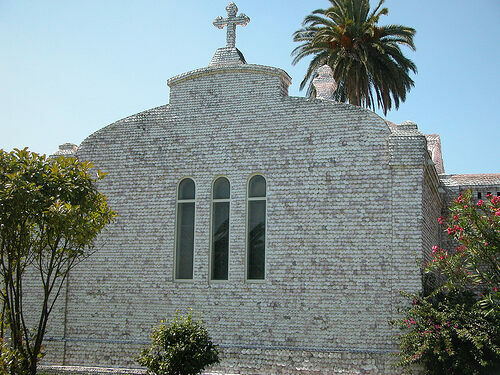 A 12th century church completely covered in shells. Help improve Atlas Obscura by expanding Shell Church of A Toxa with additional information or photos. 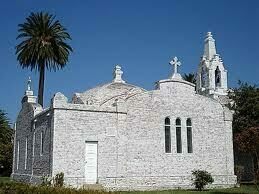 The small church in A Toxa is unremarkable from a distance, but up close it is revealed to be covered from ground to tower in local shells giving a white, shingle-like appearance. Remains of an ancient Celtic culture on the coast of Spain. Seaside example of a settlement dating from the first century BC. This abandoned naval battery stood at the ready as recently as the 1980s. The mysterious remains of a martyred teenage saint are venerated inside a small country chapel. 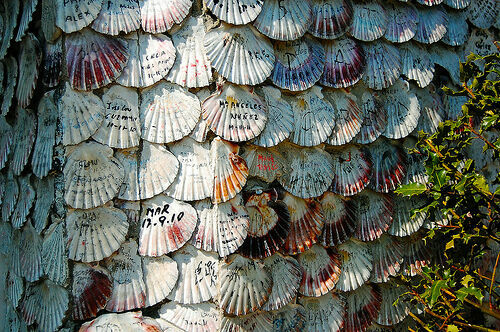 A small house in Tazones, completely covered in shells.